You are here: Home / Retirement / Retirement: Will You Outlive Your Money? Will I outlive my money in retirement? This isn’t about whether Ameriprise Financial is the right firm to help you answer this vital question. Rather I wanted to discuss some of the factors that will go into the answering this question from the perspective of someone looking to retire. 401(k) or similar retirement plan such as a 401(b) or other defined contribution plan. The list above is not exhaustive and you may have other assets or sources of income that you will be able to tap in retirement. This is an important question at all ages for those saving for retirement. It is critical the closer you are to retirement and this is certainly true if you are within 10 years or less of retirement. 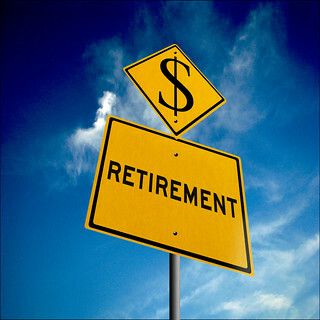 Will you have a mortgage or other debts as you enter retirement? What types of activities will you engage in? What are your costs for medical insurance and medical care? Will you need to provide support for children? Grandchildren? Aging parents? What will your basic living expenses entail? These questions just scratch the surface, but I think you get the idea. One other point to remember is that you might spend more on travel and activities in the earlier part of your retirement and less as you age. However, any savings here might be offset by increased costs for medical care. Another approach is to figure out what level of expenditure your savings and other resources will support and either work backwards to a budget within that spending level, try to ramp up your retirement savings to close the gap, or perhaps plan to work a few years longer before retiring. This can be done using any number of retirement planning calculators available online. With any such tool it is important that you pay attention to the assumptions inherent in the calculator’s model and that you think through any assumptions that you are allowed to input. A qualified financial planner can help you through this process and this is a key element in a financial plan. Whatever route you take the issue of outliving your money in retirement is a vital one for you to address. In my opinion this is the biggest risk retiree’s face and is a bigger risk than losing money in the next market downturn. There is a lot to think about when retiring and you hit on a lot of the important questions. Thanks Michael, planning for a successful retirement is not a simple task as you know. Article was worthwhile. Goals that were very important for me to a financially safe retirement included. 2. Have a realistic budget and stick to it. 3. Have GOOD medical supplemental plans. Medicare by itself covers only 80% of certain expenses. Bad things do happen as we age. My wife was in the hospital for over a week and we would have had thousands of dollars of cost. 4.Have Long term Care insurance. Those of us who have modest investments would lose them all if a catastrophic event happened resulting in Long term care needs. Jim thanks for your comment. It sounds like you have a plan which is a great thing. Best wishes for a long, healthy, and prosperous retirement.